In almost every sport, what separates the best from the rest is the ability to produce explosive, powerful efforts on demand. To become faster and more powerful, you must have a training plan, learn proper techniques and use the right drills at the right time. 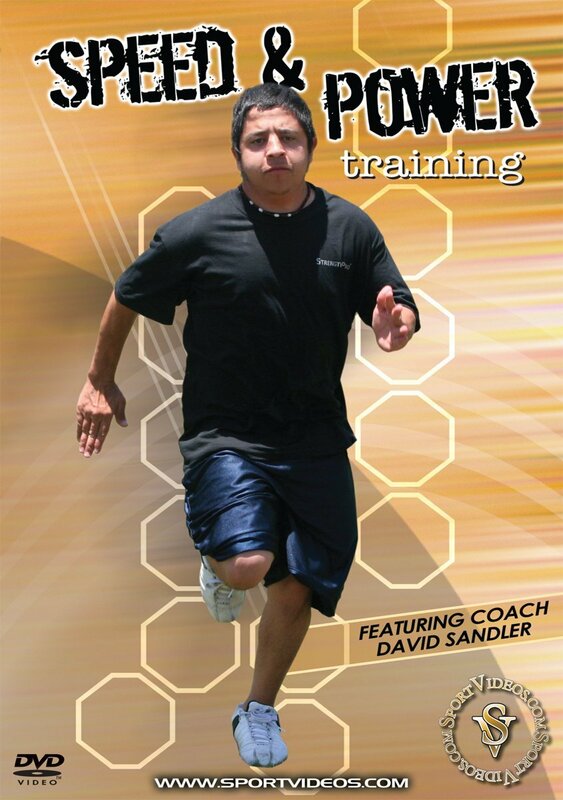 In this comprehensive DVD, David Sandler shares the concepts, exercises, skills and drills that will help athletes to develop exceptional power! Among the topic covered are: warm-ups, sprint mechanics, acceleration drills, agility drills, resistance drills, ladder drills, box jumps and strength training. This program will give you the explosive power you need to compete at a higher level in any sport! About the Coach: David Sandler has been a strength and conditioning consultant for more than 18 years. He is a doctoral candidate at the University of Miami and has presented more than 230 international, national and regional lectures with many well-known fitness organizations. David has published more than 75 articles on power and strength training for various publications and has authored or co-authored several books. He is currently the State Director of Nevada for the National Strength and Conditioning Association and also serves as the Chairman of The Arnold Strength Training Summit at the Arnold Classic. Sandler is the President and Co-Founder of Strength Pro Inc., in Las Vegas, Nevada.